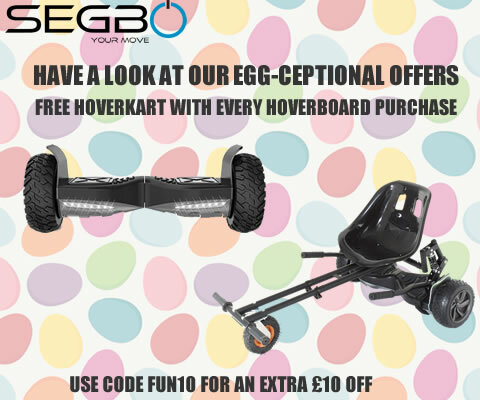 Shop with us for the latest Hoverboards, Hoverkarts, Electronic scooters and Segway accessories. All of our products have been UK Approved, tested and certified by an independent UK test center and at no extra cost we offer a 12 months warranty with free next day delivery. 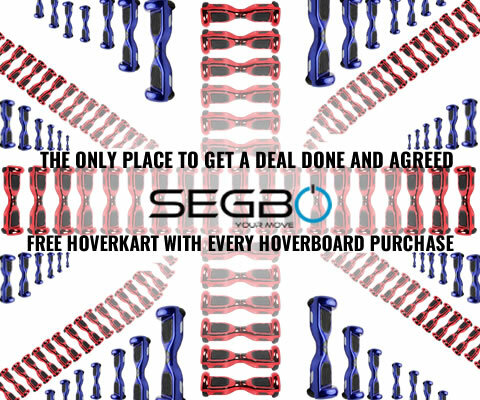 Why SEGBO as a Hoverboard Brand? 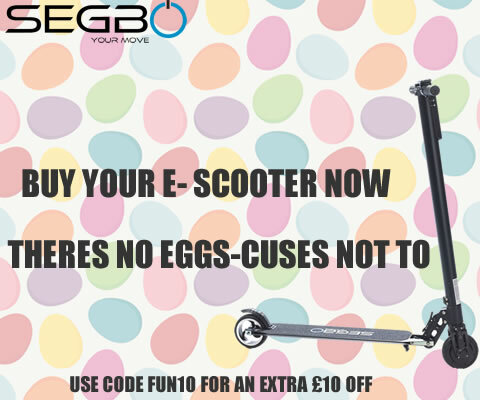 We are a company that specialises in hoverboards. All of our hoverboards have been UK tested to assure that they are the best, safest and most up to date hoverboards that you can purchase. Located inside our hoverboards are Samsung celled batteries and they come with a UL charger. We aim to give our customers the best service they can possible receive, so with the help of our specialist hoverboard service team, we offer a 12 months warranty to all customers who purchase a hoverboard from us. On top of this, if you purchase an item from us before 3pm on Monday-Friday, it will be dispatched that same day and delivered to you the following working day, free of charge! What Hoverboards Should I Buy? We have a variety of different hoverboard models available. The recommended age to ride a hoverboard is 8+ and you must be over 4 stone. As long as you’re within this age and weight limit, you’re able to ride any hoverboard. The 6.5 inch hoverboards have standard sized wheels that are designed to ride smoothly along flat terrain. They have built in LED lights and they also have built in Bluetooth, which allows the user to connect their phone and play music out loud from the speakers located inside the hoverboard. The 8.5 inch hoverboards have a more upgraded and unique look and have bigger wheels, designed to perform better when used off road and on rougher terrain. These models also have built in LED lights and Bluetooth speakers. How does a Hoverboard Work?/ Are Segway Hoverboards Auto Self Balancing?/ How Many Motors being used in Segway Board? A Segway Hoverboard is an active product that offers a very unique and very futuristic traveling experience for both adults and children. It has a robust plastic outer shell, available in many different colours to suit the individual’s preference. The hoverboard has two wheels and located within each wheel are two powerful motors. The hoverboard has two quick responding self-balancing sensors that allow the user to move forwards, backwards and left/right. How to Ride a Safe Segway Hoverboard? Simply turn the hoverboard on by pressing the small button located on the side of the hoverboard and place each foot directly in the centre of the sensor pads to start moving! Applying pressure on the sensor pads in whichever direction you choose to go enables the user to control the movement of the hoverboard. Alternatively, you can attach a Hoverkart on to your hoverboard, which allows the user to sit comfortably on the hoverboard instead of standing on it. Can you Ride a Hoverboard Outside?/ Where Hoverboards are Allowed to Ride Outside? We do not advise to use your hoverboard in busy public places, such as a town centre or on roads, however using the item on an outdoor path on private property is acceptable. Hoverboards can also be used in gardens and indoor areas.